Scientists at the Los Alamos National Laboratory in New Mexico have figure out a way to use what are known as quantum dots to store and release energy from simple panes of glass in windows. The quantum dots, first developed in 2012, are nanometer sized semiconductors that are applied to the glass in a thin film. The dots can be programmed to store certain kinds of light while rejecting others. 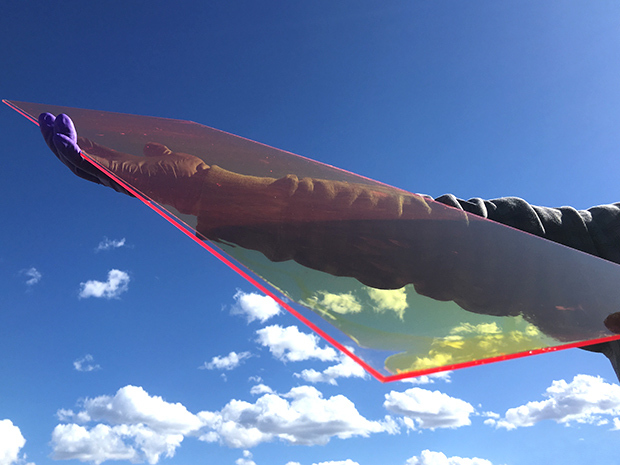 The Los Alamos team discovered that when they applied this thin layer of quantum dots to a piece of glass, they could last up to 14 years or so and have an efficiency just under 2%. The scientists explained that they would have to get to at least a 6% efficiency for the quantum dots to actually be practical in residential or commercial use. What they have done, in essence, is to simplify solar cells so that they are small and could be more efficient especially in cities where there is not a lot of rooftop space. What the new application does is to capture the solar energy all across the surface of the glass and then can transfer it to storage using only a single solar cell. The scientists believe that the technology is ready to be deployed on glass and they mentioned that, after the lifetime period, the layer of quantum dots could be simply scraped off and replaced with a new layer. The efficiency of the quantum dot technology will actually prove to be cheaper and more cost effective in the long run for commercial and residential applications. The engineers first tried to use certain dyes for the application but they soon discovered that the organic dyes they were using were actually absorbing the energy rather than storing it and transferring it. It was then that they decided to go with the quantum dot technology as a more efficient way to store and transfer the sun’s energy.